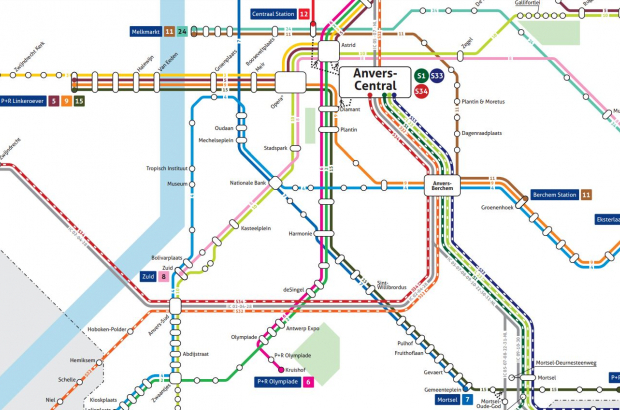 Rail commuters in Liège, Charleroi, Antwerp and Ghent can expect some changes to their journey from 3 September as Belgian rail operator SNCB extends its suburban "S-Train" concept to the four cities. In each area, local trains and about 50 stations within a 30km radius are to be rebanded under the S-Train banner. Commuters can buy a City Pass giving unlimited rail travel plus access to the local TEC or De Lijn bus network, costing around €50 per month. The aim is to reinforce services on key commuter lines, with a more regular and reliable timetable. The project to extend S-Trains outside Brussels was nicknamed Angelic, based on the first letters in Antwerp, G(h)ent, Liège and Charleroi. Brussels' S-Train network launched in 2015. It is made up of 700 trains a day serving 143 stations in Brussels and its periphery, from Louvain-la-Neuve to Dendermonde. The SNCB's chief executive Sophie Dutordoir said last year that more needed to be done to publicise the "little-known" service, adding that many stations on the network were "hidden away".